 Providing you with all the necessary information.  Helping make the best decision FOR YOU.  Being available for all your Real Estate questions. So who is The Glen Godlonton Real Estate Team you may ask ??? These 3 Simple words are the guiding principles of The Glen Godlonton Real Estate Team.  INTEGRITY – On a daily basis we transact all of our business and personal dealings with our client’s best interest first and foremost in our minds. We will never comprise our integrity, as we understand long-term relationships are based on trust and honesty.  VALUE – We will provide our clients with the utmost return on their investment in our team. We provide an excellent, above the industry average, service for our fees.  EFFECTIVE – We will get the job done. We will complete all tasks requested of us in a timely manner with the least amount of inconvenience to our clients. Glen Godlonton has a number other very experienced associates and staff that work closely with him. Deven Folkins & Brad Willson work with Glen and are also Licensed Realtor’s at our Re/Max Realty Professionals office. Having this trio of Realtor’s working for you, means that you always have access to a professional. Deven, Brad and Glen operate out of the main Re/Max Realty Professionals office on 1A Street S.W., just East of Chinook Center. This office is fully staffed with our team of professional assistants and the latest in computer and internet technology. Karen is our main assistant that looks after client liaison for the team. When Glen is out of town or taking a family day off Deven or Brad are the main Realtors contact for his clients. The team as a whole is very experienced is Glen has 15 years, Devon has 20 years as Realtors here in Calgary, and our Assistant Karen has over 10 years experience working with the team. We look forward to helping you with all of your Real Estate Requirements! Glen is at a point in his financial life where he chooses to help his friends and client’s with their personal real estate needs. It is no longer about the commission earned on each deal. 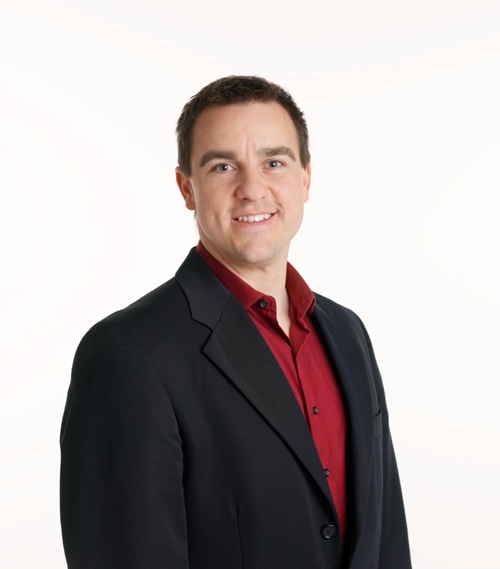 Glen’s desire is to build life long relationship to help each and every client increase their personal net worth using the tool of Real Estate. It does not matter if you are a first time home buyer or a seasoned investor, Glen will help you make the best choice for YOU. Glen will not only help you find a great home, or sell your existing property, he will do this all while helping guide you down the path to financial freedom! All you have to do is ask and Glen will share his expertise with you! How will Glen do this you might ask? BACKGROUND: The Godlonton family settled in Alberta in 1884 and have been living in the Richmond, Killarney, South Calgary area ever since. Glen was born and raised in Killarney attended Viscount Bennett High School, SAIT and the U of C, he still makes his home in Calgary’s S.W. Inner city. Glen was a proven sales professional before entering the real estate industry, with more than 20 years of sales, marketing, negotiating and management experience. He has previously owned and operated two successful sales companies that marketed Software, Technology and High Tech Navigation Equipment internationally. His decision to enter the real estate industry was not taken lightly. Glen is a people person the biggest enjoyment he gets is seeing the smile on his clients face when he hands them the keys to their first home. This is much more satisfying than just selling technology. He loves the product; there is such diversity in housing. EXPERIENCE: A licensed REALTOR within the province of Alberta since 1999, he is still licensed with Re/Max Realty Professionals, were he started his career. The Re/max Real Estate brand is the biggest and best in the world and the cross marketing advantages it brings to his clients are enormous. 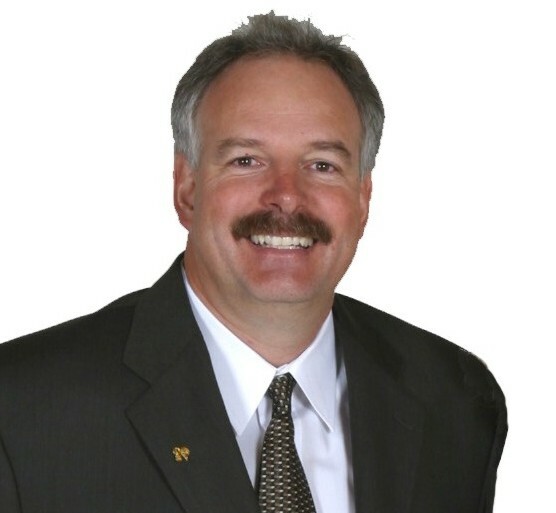 During his career Glen has received numerous awards from both the Calgary Real Estate Board (CREB) and Re/Max International, most recently the distinguished Re/Max Hall of Fame Award. Glen’s expertise goes far beyond fancy sales and marketing he is a very mechanically inclined individual that has personally renovated and repaired every item or system that can be found in a home in Calgary. He truly understands housing to the bones. This mechanical knowledge is extremely valuable to his clients as he educates them while searching for the perfect home. REAL ESTATE AS INVESTMENT: Buying a home is the biggest investment most people ever make in their lives. It doesn’t matter whether you plan to live in the home or use strictly as an investment, purchasing in the wrong location can cost you well over $100,000 in lost appreciation. When you are educated, Real Estate is the best financial investment that a person can make PERIOD. Glen purchased his first piece of Real Estate in the 1980’s & continues to grow his personal portfolio, he understand the investment aspects of the Calgary marketplace. Glen will educate you on the financial and investment characteristics of real estate and will guide you to the properties with the highest rates of return on the best streets, in the best neighbourhoods, all within your personal criteria and budget. “Experience is something that you cannot buy; it can only come with time. If a Realtor has not invested the time, they do not have experience” Do not choose an agent that may get trained at your expense! Experience is the Key, when you summarize Glen’s background. Deven’s interest in Real Estate stems from his desire to work with people and help them to accomplish their goals. Never pushy, Deven believes in empowering his clients with information so they can make good decisions. Deven has been serving his real estate clients since 1992. Besides receiving many prestigious industry awards including “Re/Max Hall of Fame” and the Calgary Real Estate Board’s “MLS Million Dollar Club”, he has earned the respect and appreciation of the hundreds of satisfied clients he has helped meet their real estate needs. If you are considering a move to Calgary and need information about the city, schools, housing and our real estate services, you’ll want to talk to Brenda. She will assemble a comprehensive information package on Calgary and courier it out to you. If you have special needs or interests, let her know and she will do everything possible to track down any available information for you. Once you have bought or sold a property with the team, Brenda takes charge of your transaction until the sale has closed. She makes sure the necessary correspondence and copies of documents are sent to your lawyer, banker and other parties as needed. If you have questions at any time, Brenda is easily available to update you or get the right party to call you back with a fast response. Service and commitment to our clients is high on Brenda’s priority list. A cheerful “people person”, Brenda is also involved with her community and church, enjoying her volunteer work with children and teens. The main task of the Client Care Coordinator for the team is to take care of the client first. It is Karen’s job to ensure that all of the tasks that are completed behind the scene happen seamlessly. Karen has implemented tracking systems and procedure managers that leave nothing to chance. Client files are created at the beginning of all transactions. Copies of listing contracts, copies of all advertising, a log of all showings including realtor name, date/time and feedback, copies of purchase agreements, title searches, copies of cheques etc. are all kept in this client file. One of the benefits of having a Client Care Coordinator working with us is that no question will ever go unanswered. Your call or page will always be answered in a timely fashion. If the realtor is involved in other business transactions at the time of your call, you can rest assured that our office manager will be there to look after you. Janine is familiar with your home and every aspect of your file. Karen is dedicated to you, our client, with the same professional ethics as the rest of the team. If you have any questions for Karen you may email her or call her and she will help you in her more than efficient way! If you are considering a move to Calgary and need information about the city, schools, housing and our real estate services, you’ll want to talk to our team. She will assemble a comprehensive information package on Calgary and courier it out to you. If you have special needs or interests, let her know and she will do everything possible to track down any available information for you.